We Are A "Full Service" State-Wide Michigan Private Investigative Agency serving Michigan cities including: Detroit, Ann Arbor, Ypsilanti, Midland, Bay City, Farmington, Monroe, Redford, Jackson, Chelsea, Dexter, Riverview, Lansing, Mason, Brighton, Grand Rapids, Wyandotte, Dearborn, Southfield, South Lyon, Southgate, Northville, Adrian, Milan, Bloomfield Hills, Allen Park, Lincoln Park, Grosse Point, Trenton, Warren, Howell, St. Clair Shores, St. Clair, Hamtramck, Birmingham, Canton, Westland, Livonia, Garden City, Madison Heights, Grand Rapids, Berkley, Royal Oak, Ferndale, Pontiac, Flint, Saginaw, Bloomfield, West Bloomfield, Wixom, Northville, Oak Park, Inkster, Michigan. Investigative Services are conducted throughout the State of Michigan discreetly and confidentially under the guidelines of conduct established by Michigan Council of Private Investigators. - Mr. Bozung is President and CEO of DACO Investigations, LLC, a full service licensed professional investigative agency located in the State of Michigan and a former law enforcement officer with 23 years, 26000 hours of experience resulting in a high level of proficiency conducting investigation of theft, alleged fraud, misconduct and violations of contractual policy, divorce, custody and personal injuries. 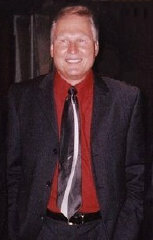 Investigator Bozung's years of service has resulted in advanced skills of interrogatory interview and evidence gathering techniques necessary to develop a case from inception through judicial disposition. Investigator Bozung maintains daily experience compiling confidential background information through investigative research for H.R. evaluation, licensed security, investigative operations and law firms and routinely develops investigative strategies to identify sources of information relative to the subject of an investigation. MICHIGAN's MOST SATISFIED CLIENTS !